Goku has come a long way since his original days Of Dragon Ball. He was just scampering around the forest and using his tail to catch giant fish in the beginning. That little ragamuffin learned the Kamehameha Wave, grew up and then started going on intergalactic travels to save the universe from all sorts of deadly bad guys. Then, he started going Super Saiyan, got himself some golden hair and become the most powerful guy in all of Universe 7. Well, we like to think back to the good old days, when Goku cruised around on the Nimbus Cloud and carried around his trusty Power Pole! That was back when his hair was ALWAYS black. These Dragon Ball Z Goku Shades come straight from his old-school look! Why, you can put these on your face and just imagine the monkey tail coming out of your back. 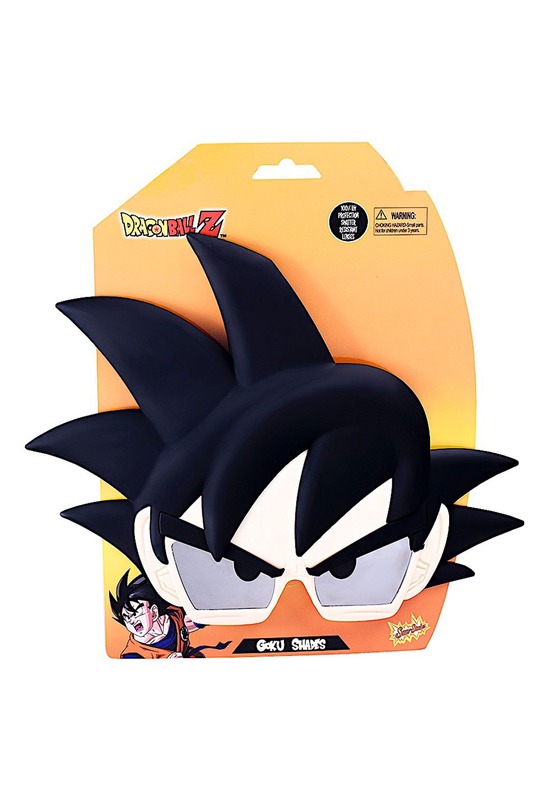 It’s a quick and easy look for anyone trying to cosplay as the one and only Goku.